This easy-to-use casting material sets to a hard, lightweight white plastic. 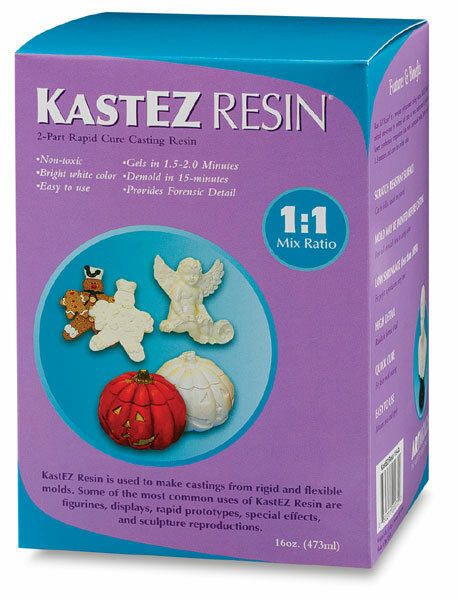 With a one-to-one mixing ratio and 30-second mix time for quick start, 2-minute pot life and 10-minute de-mold time, KastEZ is ideal for castings from rigid to flexible molds for rapid prototypes, special effects, and sculpture reproductions. In fact, KastEZ is the right choice for any application that you can think of. It requires release with polyurethane molds, but not silicone molds (MoldRite 25). 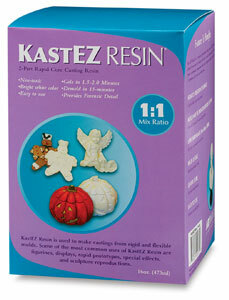 ® ArtMolds is a registered trademark.® KastEZ is a registered trademark.